Scrum methodology is a process based on repetition, with a little amount of progress in each step. This method helps to manage projects and develop software packages. It also supports the testing of recently created software packages. It is a setup that supports development work, on the basis of a set of predefined rules and practices. Agile methodology, meanwhile, is a procedure for process development, used primarily for software development and implementation. This is an iterative method where the needed result and solutions leading to it emerge through collaboration between self-maintaining teams that though independent, are responsible for affecting one another’s performance. 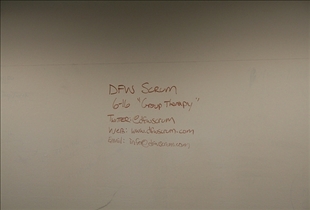 In Scrum systems, the team creates a rough draft (for example, working and tested software) called sprint. It is basically a representation of the result needed built on a previous version of the program which is commonly known as backlog. 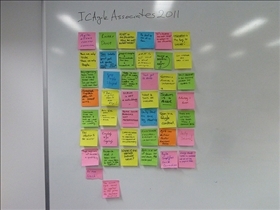 The backlog is a set of defined objectives, which have been given a specific priority-order of execution. The team analyzes the amount of work it is capable of completing during the next sprint. During a sprint, no changes are allowed in the backlog, which means that the new changes cannot be implemented during the execution of the most current sprint. Developers who use agile methods promote a limit bound system of managing the development of software that has enough scope for a variety of inspections and adaptations. One important feature of agile technique is its accountability. Here, the focus is on a business approach that can give us growth with evolving customer needs and changing company goals. Most agile development methods break the procedure into abstract subsequent steps with no long range plans. Iterations are small time slotted frames(timeboxes), usually of 1-4 weeks. This helps in minimizing the involved risk and lets the process change itself according to requirements. Scrum helps in the creation and functioning of self organizing teams by focusing on locating all team members at one location and lays stress on verbal communication amongst all team members. Very often, the customers may change their expected requirements, often called requirements churn. In such cases, scrum method adapts itself by maximizing the output. Yet scrum developers keep in mind that needs of a particular customer can be met only in due course of time. Formation of work teams in an agile process is mostly interrelated. Team members can be accounted for individual jobs which are essential for the successful completion of iteration. They decide independently how to achieve iteration’s completion. Agile methods lay stress on direct communication, giving it precedence over written communication in case the team members are all at the same place. Moreover, a team distributed over a large geographical area maintains the required contact through videoconference, e-mail, conference calls, meetings, etc. This article is false and misleading. Scrum is actually an agile methodology. There is no VS. here. It's like saying basketball vs sports. Basketball is a sport. Scrum was one of the methodologies that evolved out of the agile philosophy. Articles like this are the reason there is so much misinformation about agile out there. Your just confusing people with this. This is the most funny scientific article i have read in my life until now .. you are joking right? I have two big pictures and summery longer than the missed topic, lol .. what are those fuzzy sentences by the way? "Framework is comparatively rigid, with little scope of making changes at the same time" ?? sometimes the one read so strange sentences, stupid enough to make him feel himself stupid, lol. While SCRUM is the foundation, Agile is the Method by which the SCRUM structure is implemented in the environment. I believe Agile is used because business Stakeholders are more confident in the methodological process utilized to deliver the results in accordance with their needs. No business wants to leave a project without conclusion - indefinite development comes at too high a price. Most customers want the product to be delivered and budgeted phase II or III or whatever, to align with their fiscal year and the project funded accordingly. Feels like this was written by someone who is an "Agile Coach" who can't train via Scrum.org. Google vs. Bing Search Algorithm: Which is better?